It is not about the lyrics… and it is not about the video, so what is it about ? It is about the flow and the voice. 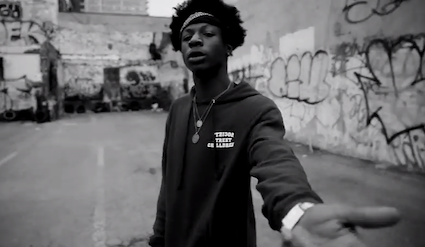 Maybe one of the closest delivery I have heard from an eminem in his most hateful days, Brooklyn indie hip hop artist Joey Bada$$ flirts dangerously with singing but always stays in the rap corner with the ever lasting violence in the tone. What ends up being laid on the masters is a voice smelling like dust urge and violence. I love it !